In today’s digital age, more and more analogue systems are either being scaled down or turned off completely to make way for a better quality version. TV has been at the forefront of this for the last few years and finally radio now has its turn. 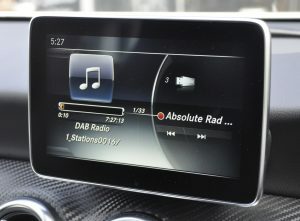 DAB (Digital Audio Broadcasting) is now being installed into newly built cars but there are still a fair few million cars on the roads that are going to lose radio reception within the next few years. Here at Source we try to be a market leader in all new products and there has been an increased development in DAB products recently. This type of system is ideal for the individual who may change cars often or for someone who just wants a cheap solution. 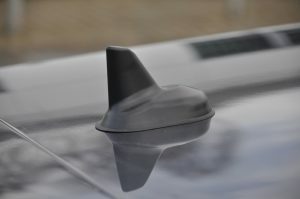 They generally mount flat to the dashboard of the vehicle and come with an internal windscreen aerial. They are then linked in to the aerial connection of the radio and transmit via a wired Pro FM modulator kit to give you the audio through the vehicle speakers. With this being a Pro wired interface there is no need to re-tune any frequencies on the device fitted or on the stereo itself, unlike wireless systems where you can often get station bleed over or even interference in the sound. All the station controls are done on the device itself and favourites can be stored into memory. 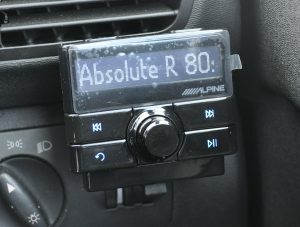 The one we like the best is the Alpine Ezi-DAB as this also gives you iPod connectivity via the Ezi-DAB screen with full control of the iPod. 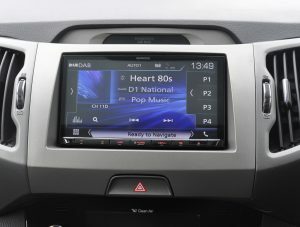 One of the latest technologies to arrive to the market is a DAB add on module that can be fitted to some factory stereo systems that have steering wheel controls for the stereo. All the controls are done from the factory steering wheel buttons so you don’t have to remove your hands from the wheel to change DAB radio stations. This can be programmed to allow quick access of your favourite DAB stations and will also give you information on the vehicle display. There is an option for either an internal or external aerial depending on the type of vehicle it is. This type of product requires professional installation and set-up, so for further information please call the shop. 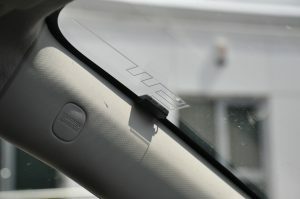 If the vehicle has a screen fitted, there is another product available. We can supply and fit an interface which will link to any type of screen and will give you a display on the screen allowing you to choose the radio stations, store them into memory and give you full control over the selection of stations. This is all controlled via a small, hand held remote control so the unit is fitted and hidden out of view. A factory screen will require some form of AV interface and an aftermarket screen will just require a spare AV input. This product also has the option of an internal or external aerial. If you also want a better sound in the vehicle, the better option would be to change the stereo for one that has integrated DAB. Not only will this give you better audio, it will also give you features the factory stereo may not have had, such as Bluetooth, iPod, USB and RCA pre-outs for amplifiers. This product comes with an internal aerial which works amazingly well for an internal option. An external roof aerial is always the best type of aerial to use as it’s outside and above the vehicle, allowing for the best type of reception (dependant on vehicle). When the vehicle already has a roof aerial fitted, it may be possible to use a combined FM/AM and DAB aerial to save having two aerials on the vehicle. This aerial is generally the cheapest option and easiest to fit as it goes on the front windscreen, discretely out of the way. If you have any queries about DAB integration, please click the button below to contact us.